Yogurt is tricky. It’s full of healthy and beneficial bacteria for your digestive health, so that’s great. But it’s also dairy, which means that it can’t be eaten by people with dairy sensitivities or those who believe that dairy, in general, should be avoided on the Paleo diet. Luckily, there are many ways to make yogurt that’s Paleo-friendly. 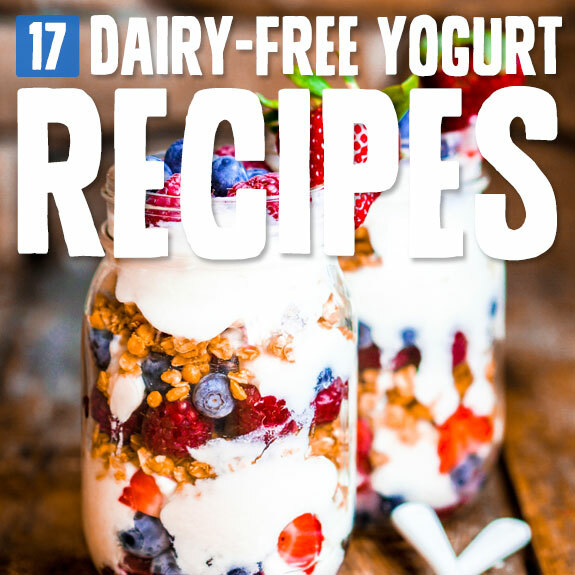 Some of the recipes on this list make a traditional yogurt that’s cultured and full of probiotics, while others make a non-probiotic replacement that’s similar in texture and can easily stand in for yogurt. Give these versions a try! This is a basic, easy yogurt recipe that results in a dairy-free, probiotic, cultured yogurt you can flavor however you like and use in various dishes—or just enjoy plain with fruit. You’ll need coconut milk, grass-fed gelatin, yogurt culture, and a few supplies, but no yogurt maker! This yogurt also isn’t cultured, but it’s very easy! You’ll use the cream off the top of a chilled can of coconut milk for thickness, and whip it with lime juice to get the tangy flavor of yogurt. You can eat this plain or mix it with fruit or Paleo granola for a fun snack. This recipe might be even easier, because you don’t need to buy a yogurt starter for this one. To start this cultured yogurt, you can use a tablespoon of coconut water kefir (store-bought) or even just a capsule of your favorite probiotic supplement. No yogurt maker needed. This yogurt is made with coconut milk as well, but it isn’t cultured, so you can make it in as little as an hour. The coconut milk is thickened with gelatin and gets a yogurt-like tang from lime juice. You’ll also use a bit of honey and vanilla extract to sweeten and add flavor. This uncultured “yogurt” is made from coconut milk and avocado—the avocado is the perfect way to get the right texture, while lemon juice adds tang and chia seeds do a bit of thickening work. You’ll blend this up so the chia seeds won’t leave lumps in the final product. 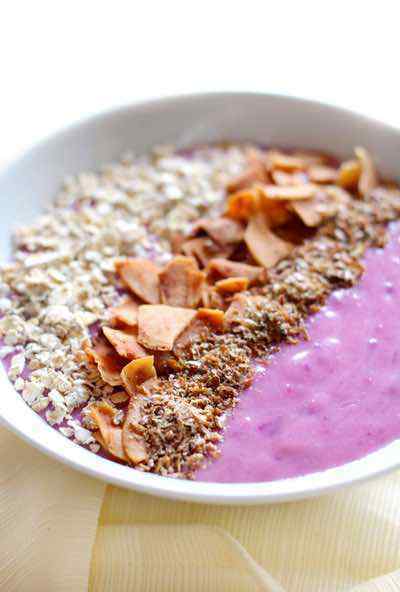 This yogurt is made with coconut cream, which makes a thicker and sturdier yogurt than coconut milk. You’ll need a yogurt maker this time, and either two probiotic capsules or 2 tablespoons of already-made yogurt, because this one’s cultured. Have you ever made kefir before? 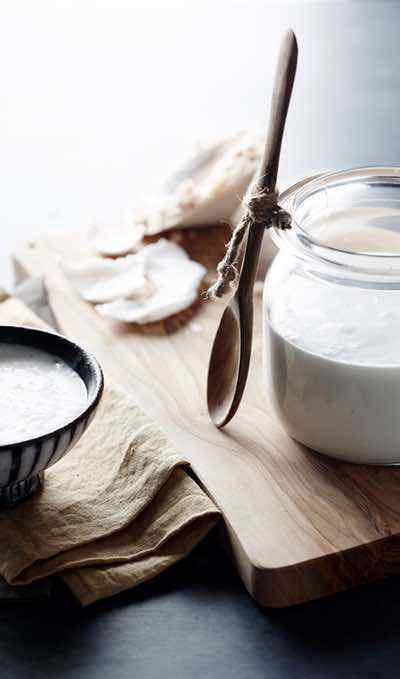 This coconut milk yogurt uses homemade coconut kefir, cultured from milk kefir grains (while usually used to culture milk, they don’t contain any dairy) and coconut milk and then strained into a thick and creamy probiotic yogurt. This cultured yogurt is especially good for people following the AIP diet, who may need to heal their guts. It’s full of beneficial bacteria! 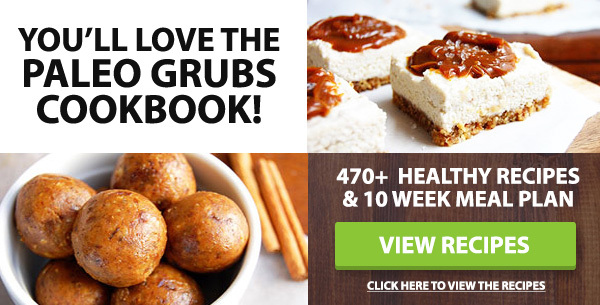 You can make it in your slow cooker with probiotic powder, and it’s sweetened with maple syrup and thickened with a bit of arrowroot. Now something a bit different! Instead of coconut milk, this yogurt is made from soaked almonds and cashews, water, and probiotic capsules. 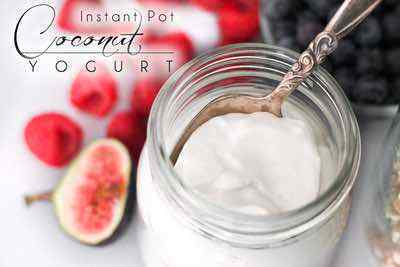 It’s a coconut-free, creamy, nutty cultured yogurt that can be enjoyed with fruit for a healthy breakfast. Made from grass-fed gelatin (collagen proteins), this yogurt has options. You can culture it using probiotic capsules, or you can leave it uncultured—it’ll still be thick from the gelatin. Honey and vanilla bean give this yogurt a lovely flavor. 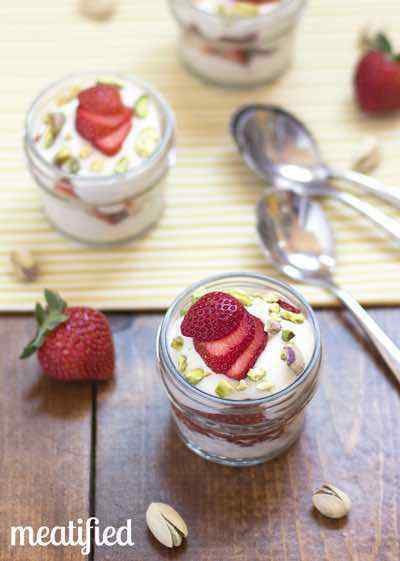 This yogurt is cultured and can be made in your slow cooker! You’ll need coconut kefir to start it, as well as grass-fed gelatin and tapioca flour or arrowroot starch—this combination is key, as it helps you get the texture just perfect. Flavor with vanilla and sweeten with honey or maple syrup. You’ll need a yogurt maker for this one. While that may be a slight inconvenience, using a yogurt maker can help you get consistent results that aren’t dependent on keeping your oven or slow cooker at a certain temperature, etc. This will also need a bit of gelatin. This yogurt isn’t truly yogurt, as it’s not cultured. You can make this layered treat using gelatin and coconut milk with a bit of maple syrup to sweeten. Half of the yogurt is blended with strawberries while the other half is blended with mango, creating perfectly sweet stripes. This unique yogurt is cultured and made from raw almonds and fresh coconut meat, scraped from the inside of young Thai coconuts. You’ll use probiotic capsules to culture it with beneficial bacteria and give it that characteristic yogurt tang. This isn’t exactly true yogurt, but it makes a lovely substitute and is thick and creamy. 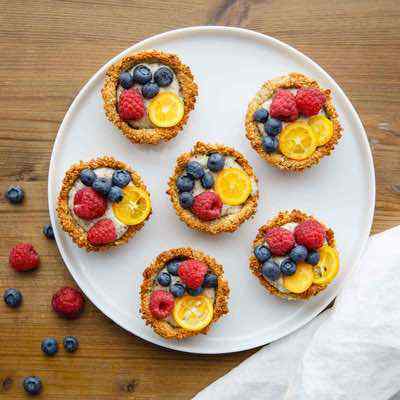 You’ll need almond milk, coconut flakes, chia seeds (this is key for thickening), frozen berries, honey if you like things sweeter, and various spices. This recipe is from one of my favorite food blogs, and it’s for an uncultured “cashewgurt” made from cashews, lemon juice, soaked pitted dates, sea salt, and psyllium husk powder—that’s your thickening agent, and it’s rich in fiber and good for your body!